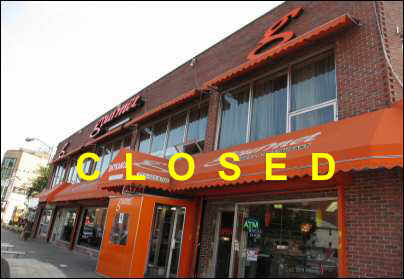 We are not complete strangers to Gourmet Sweets, the Pakistani restaurant on Broadway in Jackson Heights. You see, we have been to its like-named Brooklyn sibling or cousin, Gourmet Sweets on Coney Island Ave and relished the Lahori Kulfi and Lahori Nashta there. But we never got to taste sweets from the Brooklyn outpost of Gourmet Sweets. So after an unmitigated Chaat disaster at Bombay Chat we headed to Gourmet Sweets on Broadway in Jackson Heights looking for some quick salvation. As you enter Gourmet Sweets, there is a food counter straight ahead, sweets counter to the right and tables to the left. Since we were interested in desserts, we ordered Kulfi Faluda ($6), Ras Malai ($3) and a pound of assorted sweets ($7) to take home. Kulfi Faluda landed on our table first followed by Ras Malai. Kulfi Faluda included two medium scoops / pieces of Kulfi set in medium thick creamish colored milk, faluda and vermicelli. Kulfi Faluda was cold (as it obviously should be) and the serving size decent. Anything more of this rich, high-calorie dessert and you're asking for health problems. Kulfi was nice and smooth like ice cream and not flaky (as in bad Kulfi). Kulfi Faluda came in a medium size glass bowl with one steel spoon. The bowl was placed on a napkin in a plate. The sides of the bowl were all wet as the faluda spilled over while making its way to our table. Boy, our Kulfi Faluda was delicious! We were in the seventh heaven and thanked our stars. Although Ras Malai usually come in pairs, our order of Ras Malai came with just one piece soaked in white milky syrup. We were not pleased to see only one piece though the menu clearly specifies two pieces for $3. 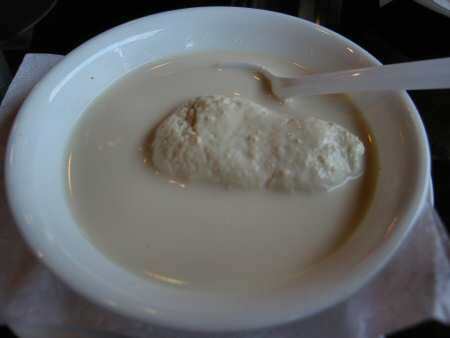 Ras Malai patty came in a rose syrup flavored watery milk. Although the syrup was flavorful and Ras Malai patty good, it was at room temperature. Ras Malai tastes better if it's a bit cold. 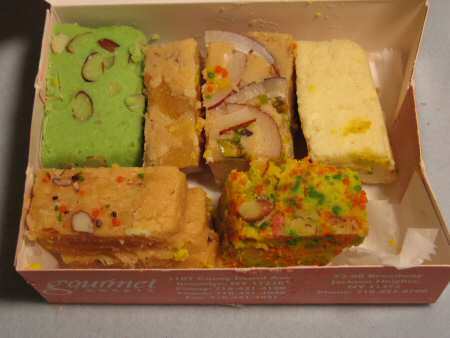 Assorted Sweets included Patisa, Pista Barfi, Pumpkin Barfi, Coconut Barfi and Kalakhand. Kalakhand had a fresh taste with right sweetneess and texture. Pista Barfi was also good but the food color seems to have been added to enhance the appearence. Pumpkin Barfi was delicious and included many pieces of Pumpkin. Folks, I've had Pumpkin Barfi on several occasions and the one I picked at Gourmet Sweets easily ranks among the best. Coconut Barfi was a close competitor to Pumpkin Barfi in taste. It included coconut and pistachio pieces and, oh, simply melted in the mouth. I had no complaints with Patisa as well. It had a freshly prepared taste with right proportion of sugar and other ingredients. While I enjoyed the Kulfi Faluda and Ras Malai, what irritated me immensely was the disgusting service. As I walked in around late afternoon, the restaurant had about eight diners digging into their kebabs and rotis. There were no wait staff to be seen anywhere. I waited for a few minutes and went looking for a waiter behind the food counter. Upon spotting a waiter arranging the trays, I requested him for a menu. The waiter gave me a menu that was soiled with food pieces. Disgusting! 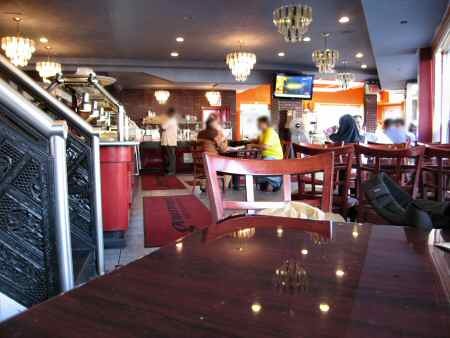 Several tables were dirty, a problem I encounter more at Pakistani and Bangladeshi restaurants. Indian restaurants are a bit cleaner. Say what you will, but my South Asian brethren are generally strangers to good hygiene. After passing by several dirty tables, I picked the least dirty table (unfortunately by the wash basin and toilet) and went to the counter to place my order. 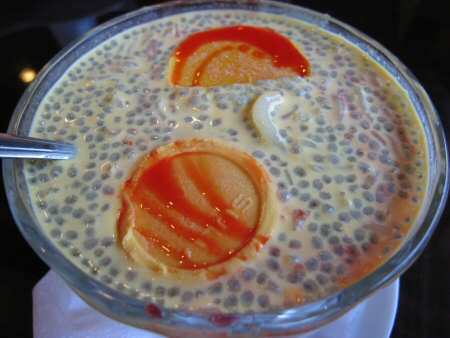 My order of Kulfi Faluda came in a glass bowl with Faluda spilling over the sides. Though the menu clearly states that Ras Malai includes two pieces, my cup included just one piece. When I realized that I'd been shortchanged, I looked around for a waiter to find out the reason. But there were no waiters to be found. Surprised by the complete absence of basic customer service, I gave up. As I got to the counter to pay the bill, I also ordered a pound of assorted sweets. 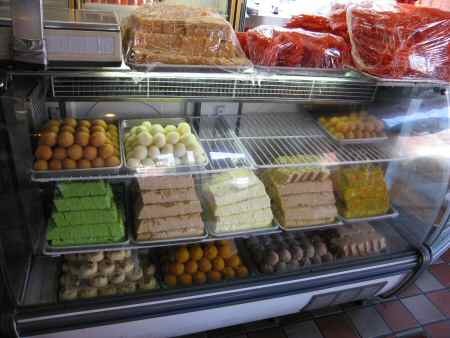 There were no labels for the sweets at Gourmet Sweets unlike the Maharaja Sweets on 37th Ave in Jackson Heights or Bengali Sweets on Newark Ave in Jersey City. The waitress at the sweets counter was snacking and annoyed at us for disturbing her. The clown's irritation increased when we asked her the names of different sweets laid out on the counter. Also, we had to request her multiple times to include a piece of Patisa (schmuck, when we ask for assorted/different sweets, we mean different varieties not multiple units of the same sweet). We never got a receipt for our payment and though we recited all the items we ordered, the careless waitress failed to charge us for the Ras Malai since she was in a desperate rush to get back to her snacking.